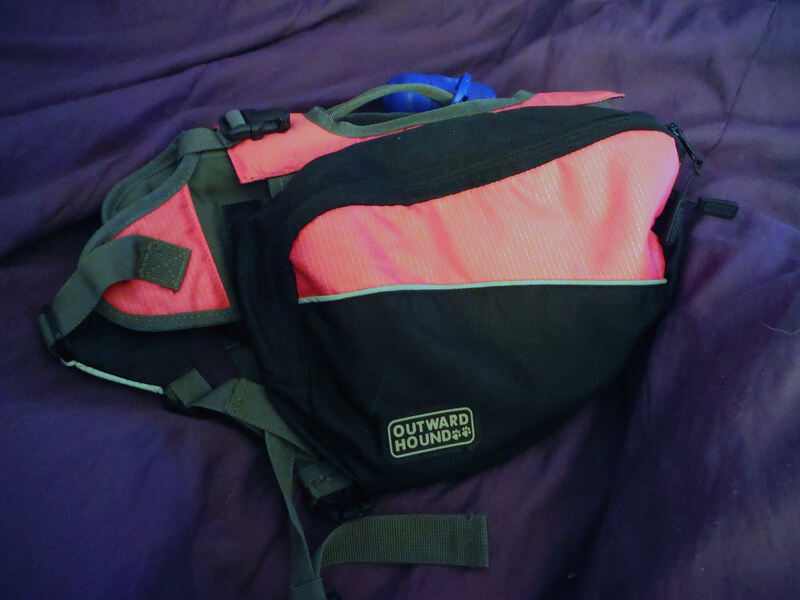 Outward Hound’s Quick Release Dog Backpack is one of an increasing number of dog packs available, but is my absolute favorite. 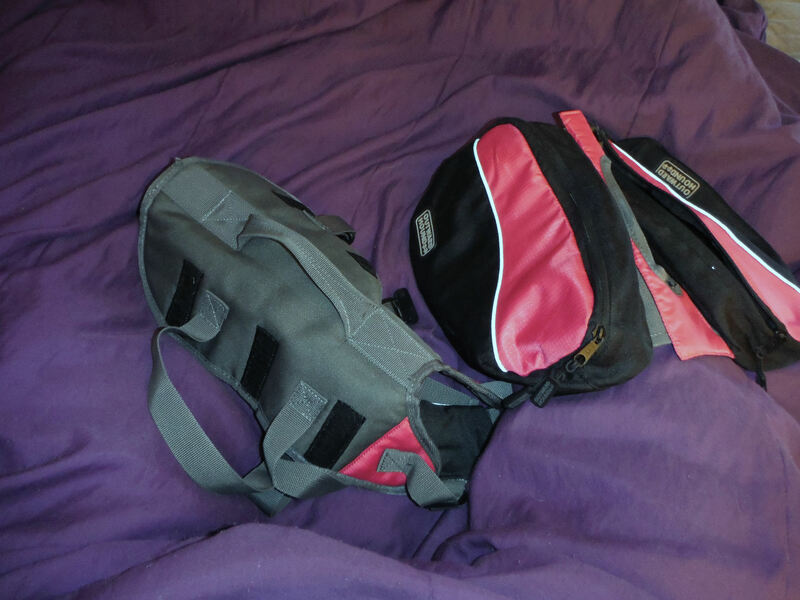 I own multiple dog packs, one BOB for each dog, plus a cheap, many patched one that I use for training my dogs to carry a pack (you want a cheap one for training because your dogs might be like mine and decide to chew it off the first time instead acclimating quickly.) This pack has quickly become my standard for dog packs. I bought a small one for my youngest dog, who at full grown will be around 30 lbs. 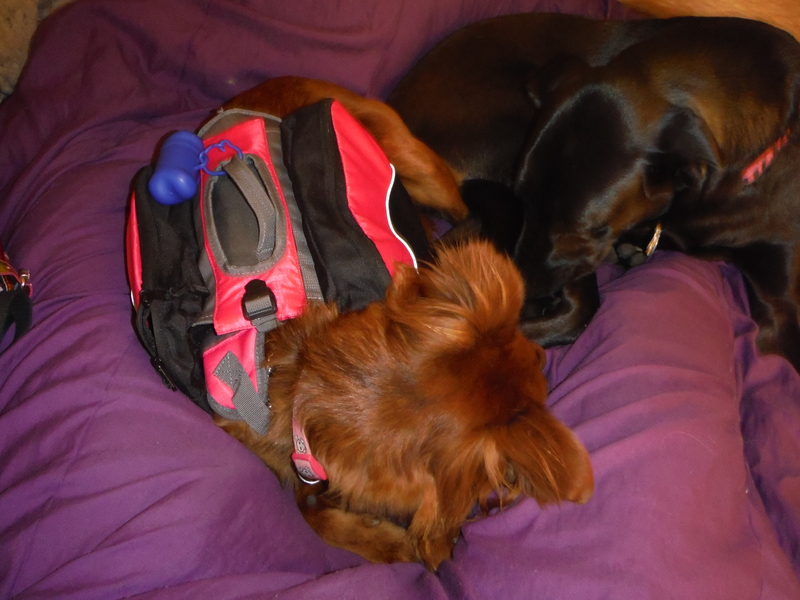 Because of her size and the more delicate nature of her bones (my other dogs are all mixed with working breeds who are built to handle carrying weight) I was quite picky about her pack. I needed something that was sturdy, with plenty of room, but not so much that I would be tempted to over pack for her weight. Plus I wanted all the normal bells and whistles, like reflective strips. This pack gave me all I wanted and more. The small measures 7.5 x 14 x 9 inches and weighs about thirteen ounces. 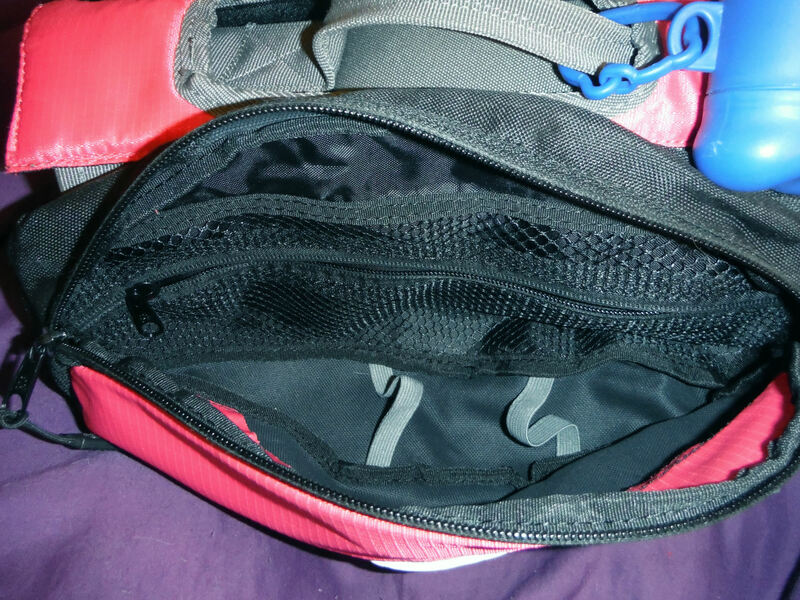 It has two generous pockets with internal zip pouches for small items (I keep copies of their shot records in those pockets) and elastic bands for keeping other things secure in the bottom. 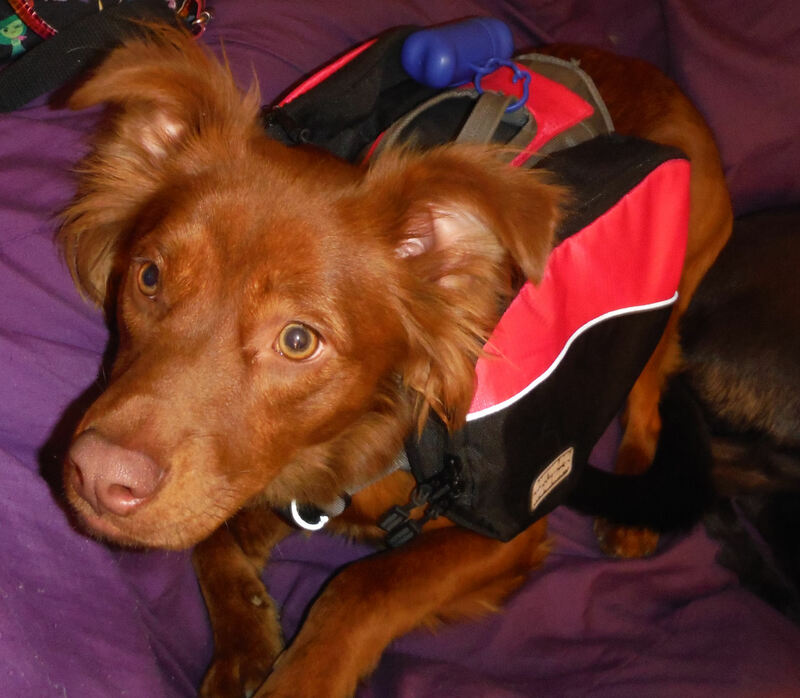 The pack itself can be pulled from the vest and easily added to a human’s pack to give the dog a break, or in case of an injury, without having to completely strip the dog of the harness. This feature is incredibly useful, again, especially for smaller or less durable (or less fit) breeds of dogs. Ursa finds it comfortable, and easy to move in, whether she’s chasing Uncle Eddie’s pigs and chickens in the country or curled up on a sleeping bag on the bedroom floor. 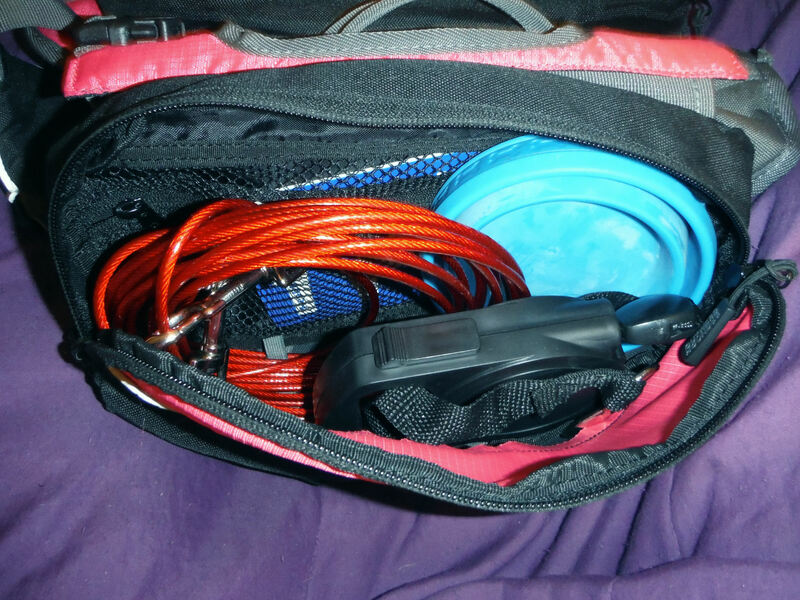 I highly recommend this pack for pet prepping or just vacationing/camping with your pet. This is a worthy product for the money, hands down.